What if, even in the heart of a densely developed city, people could have meaningful encounters with nature? The Handbook of Biophilic City Planning & Design offers practical advice and inspiration for ensuring that nature in the city is more than infrastructure—that it also creates an emotional connection to the earth and promotes well-being among urban residents. Divided into six parts, the Handbook introduces key ideas about biophilic urbanism, highlights urban biophilic innovations in more than a dozen global cities, and concludes with lessons and resources for advancing urban biophilia. 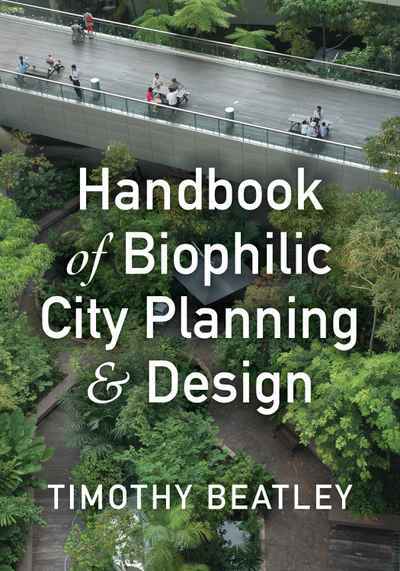 As the most comprehensive reference on the emerging field of biophilic urbanism, the Handbook is essential reading for students and practitioners looking to place nature at the core of their planning and design ideas.